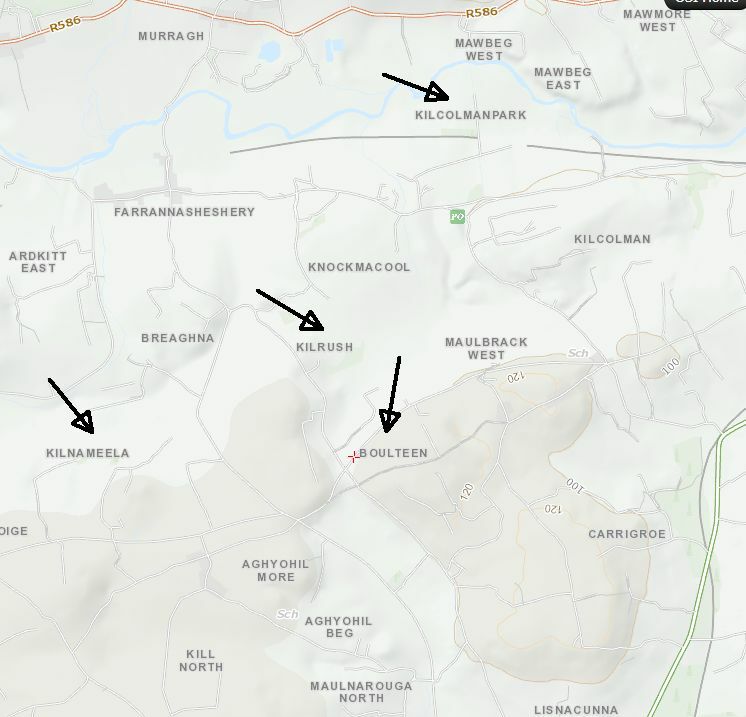 Many records for the Pattersons appear in Ballmoney and some family members who lived in areas such as Desertserges were buried in Ballymoney. Burial at Ballymoney on 10th March, 1847 of George Patterson of Desertserges aged 70 which suggests that he was buried in the family grave in Ballymoney. Also the deaths of the following Pattersons from outside the parish are recorded in the Ballymoney Church of Ireland Register. Witnesses: William Perrott, William Perrott junior. Of Henry and Jane, Killeens, labourer, public baptism. Born 27th April, 1865. Of Henry and Jane, Kilcoleman Park, labourer. Public Baptism. Born 18th April, 1870. Sponsors: Henry Smith, Mary Regan, Jane Patterson. Of Henry and Jane, Kilcoleman, labourer. Public Baptism. Born 21st March, 1872. Sponsors: Richard Clear, Sarah Collins, Jane Patterson. Of Henry and Jane, Kilnameela, weaver. Born 18th February, 1856. Sponsors. Augustus Hornibrook, Jane Tanner, Anne Buttimer. Baptisms at Ballymoney Church of Ireland. Could they be siblings of Henry? Sponsors: Robert Patterson, Benjamin Daunt, Elizabeth Boyle. Of Richard and Elizabeth, Maulnarogy school house, teacher, born 26th August, 1861. Sponsors: Ellen Patterson, Grace Phair (Farr), Joseph Smith. Of Richard and Elizabeth of Maulnarogy school. Born 20th June, 1866. Sponsors: Samuel Patterson, Sarah Jane Daunt, Ellen Boyle. Sponsors: John Good, Henry Patterson, Ellen Good. Of Richard and Elizabeth of Maulnarogy school. Born 18th January, 1870. Of Richard and Elizabeth. Public Baptism. Born 11th June, 1872. Sponsors: Thomas Boyle, Ellen Boyle, Ellen Mills. Other Patterson births, deaths, marriages. George Patterson of Ballymoney married Mary Carthy of Ballymoney on 2nd October, 1832 in Douglas, Cork Roman Catholic Church. Other Baptisms of Pattersons at Desertserges most likely related to Henry. 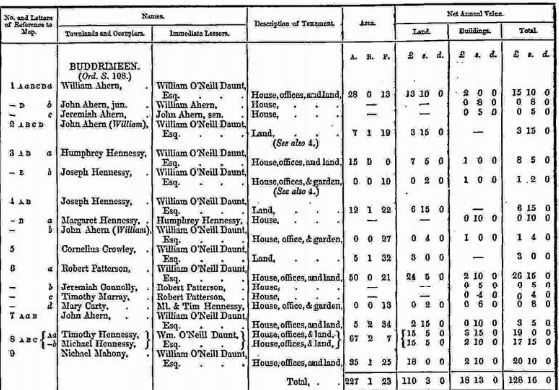 of Joseph and Jane, Kebran (possibly should read Kilrush), labourer. Born 22nd August, 1843. 22nd February, 1846. Jane Patterson. Of Joseph and Jane, Kilrush, labourer. Born 12th November 1855. 24th June, 1819. Jane Patterson married William Ford. Mary Shorten, farmer’s daughter of Scraghane, daughter of Stephen Shorten. 6th August, 1854. Robert Patterson, son of Richard and Judith of Kilcaskin, land holder, born 2nd August. 17th August, 1856. Elizabeth Jane Patterson, daughter of Joseph and Elizabeth of Kilcaskin or Buddrimeen, farmer, born 11th August. Sponsors. John and Susan Forde. Sponsors. Robert Patterson, Robert and C. Forde. Griffiths valuation of Buddrimeen shows that Robert was leasing 50 aces from William O’Neill Daunt at Buddrimeen, Ballymoney. 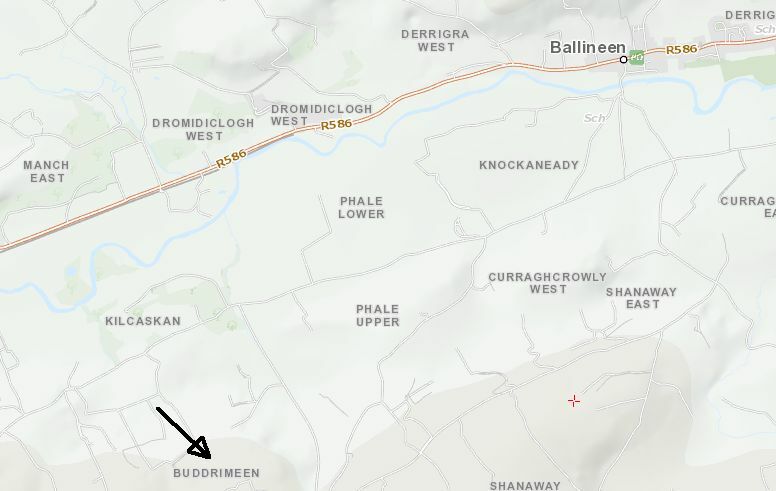 The Pattersons were still in Buddrimeen in the 1901 census. Richard Patterson (farmer aged 73 so born 1828) married Julia (born 1826) and was living in 1901 with his son Robert aged 46 (farmer’s son) and his wife Lizzie, a daughter Mary (aged 47) and grandsons Richard Patrick, John and Robert. 20th September, 1803. Jane Patterson married Nicholas Noonan. 6th October, 1769. Rose Patterson, one of the poor. 6th November, 1836. Thomas Patterson, infant. 8th July, 1801. Margaret Patterson, daughter of John and Ann, Cavan Regiment. Griffiths Valuations. Richard and Joseph Patterson are shown as neighbours. Richard has 8 acres of land. Joseph is listed as a labourer in the parish records (see above), living with his wife Jane and their children, Rebecca, Jane, Susan and Ellen. 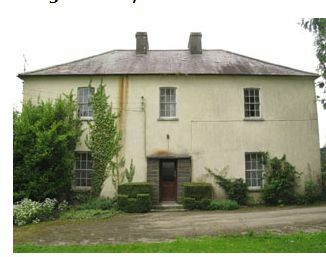 Was Joseph working as a labourer for Thomas Beamish at Kilrush House – a possibility?? Robert Patterson, late of Farranthomas, National School teacher who died 20th May, 1892 at same place. Letters of Administration granted to his widow Mary Patterson. Robert Patterson of Buddrimeen, Ballineen, Co Cork farmer granted 10th February, 1920. Executors. Denis McCarthy, Denis Dullea and Jno Patterson.